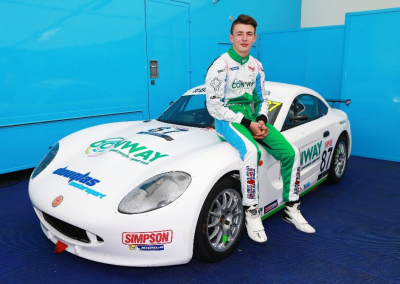 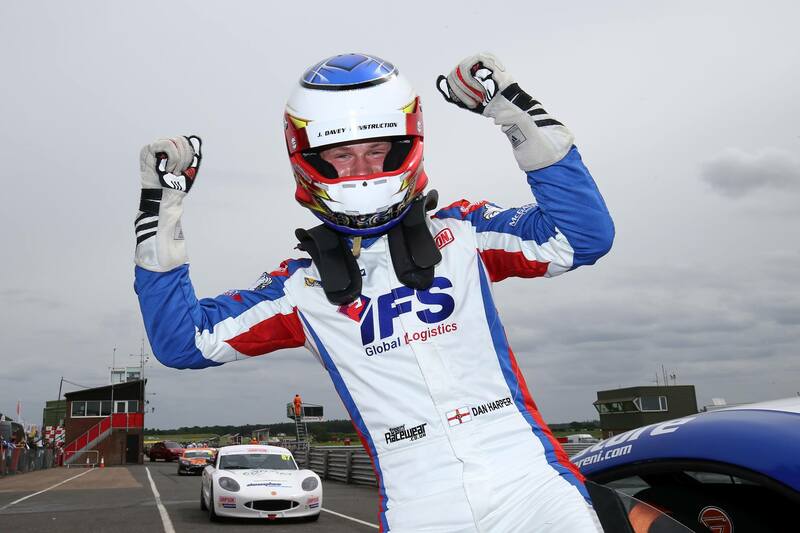 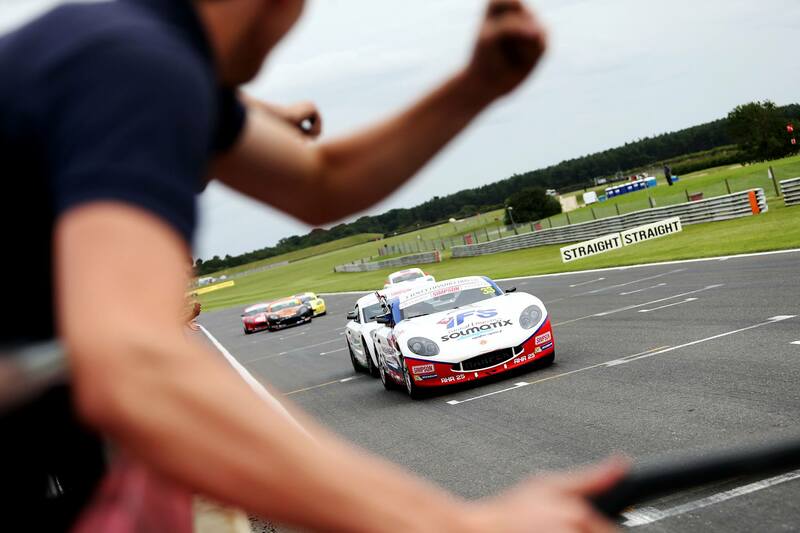 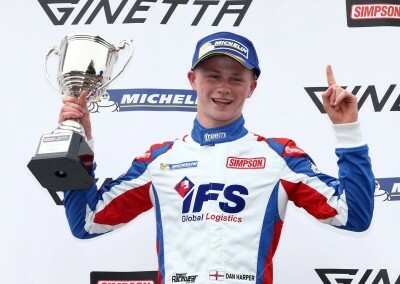 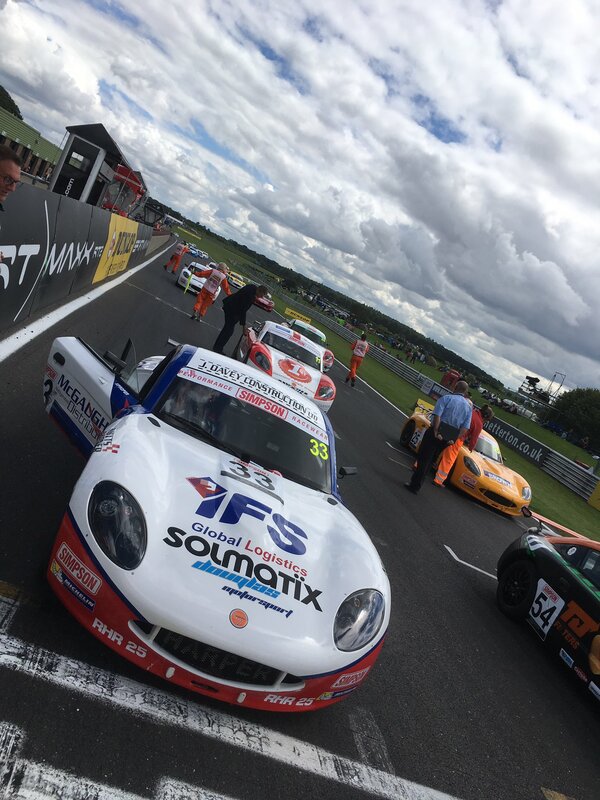 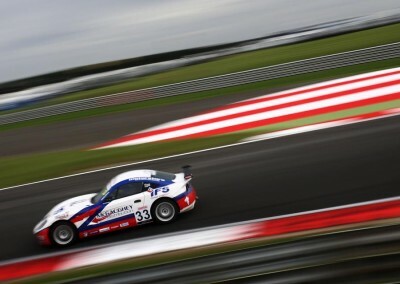 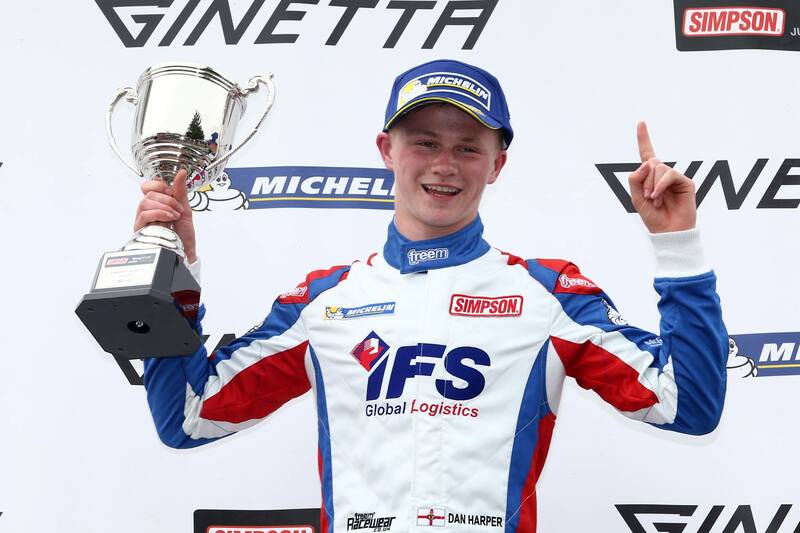 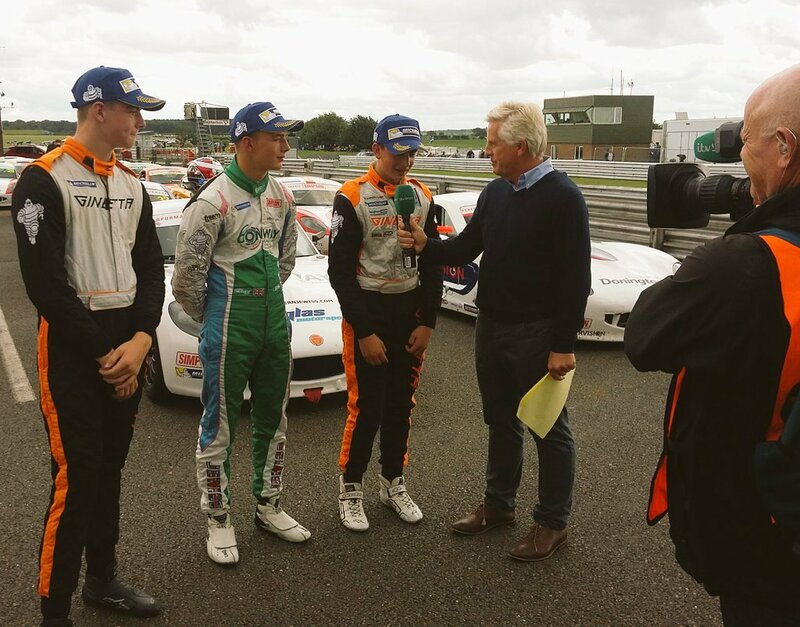 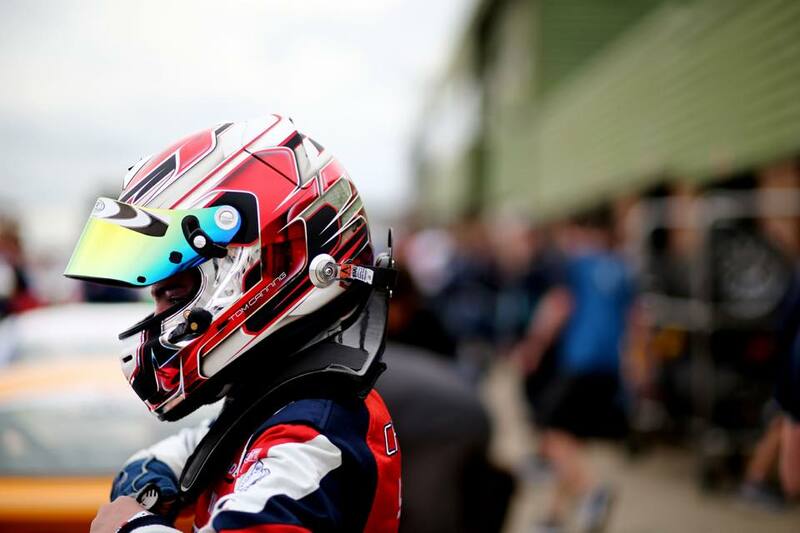 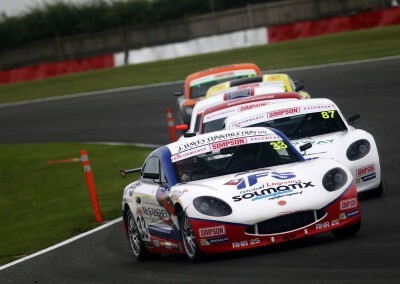 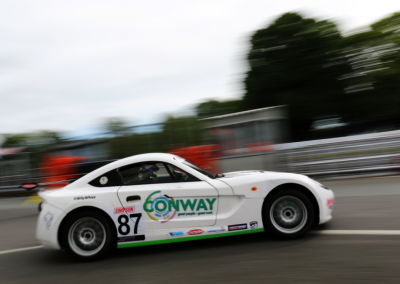 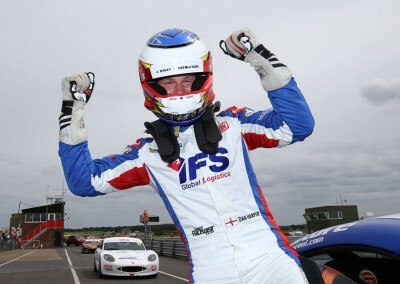 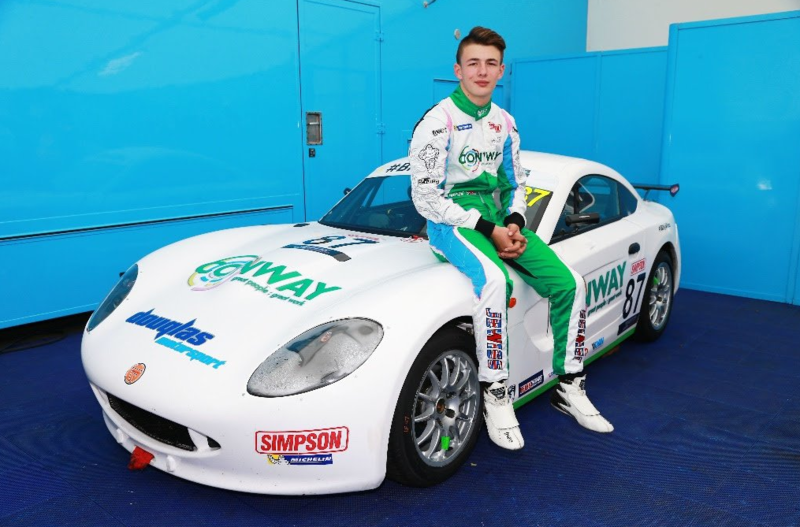 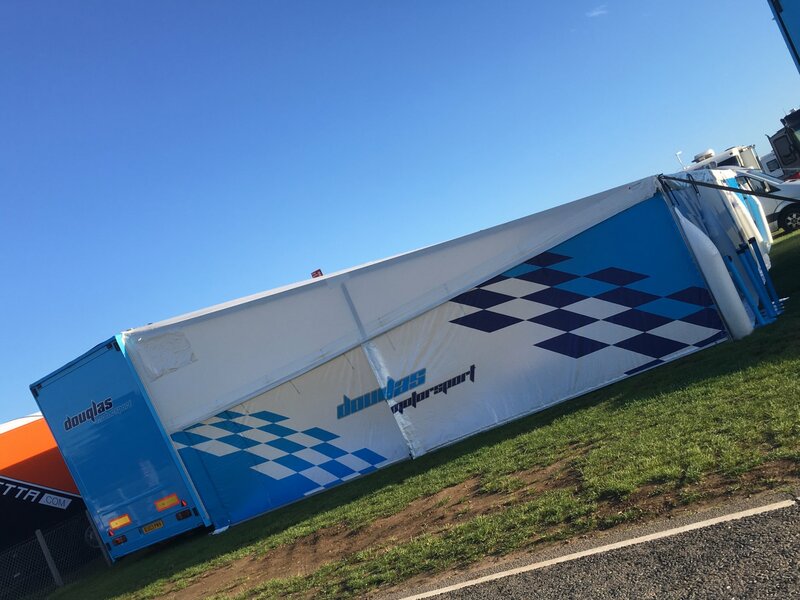 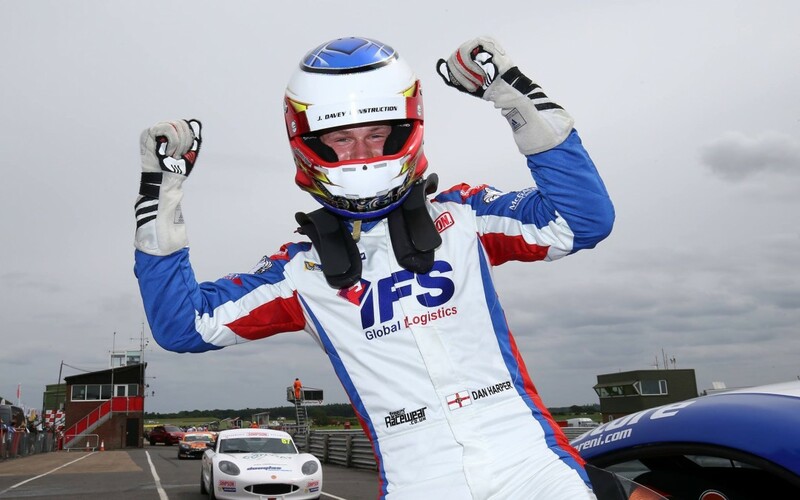 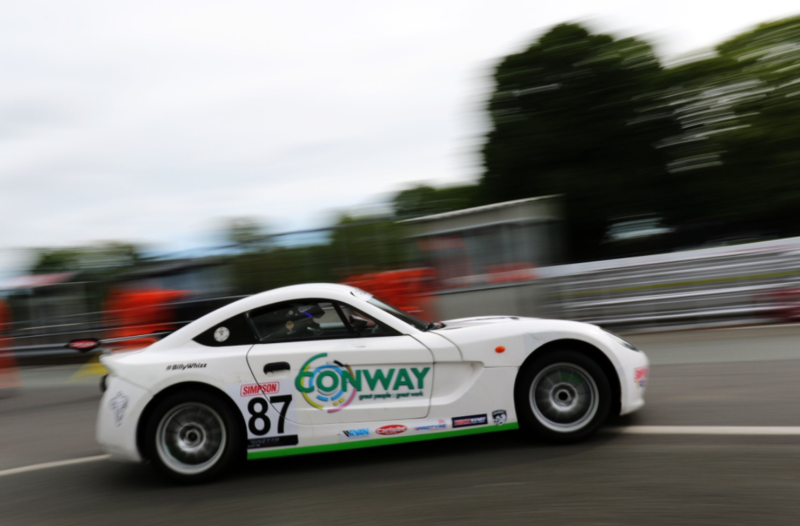 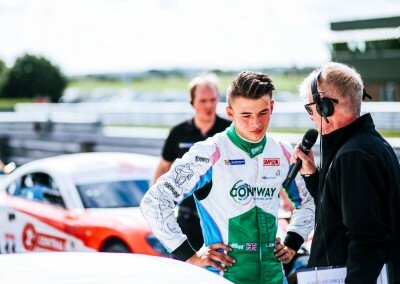 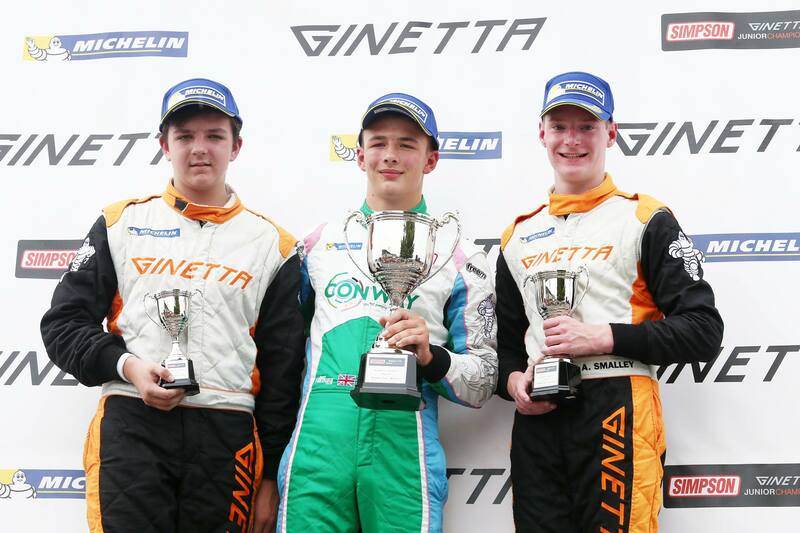 It was a strong weekend for Douglas Motorsport for Rounds 13,14,15 of the Ginetta Junior Championship at Snetterton. 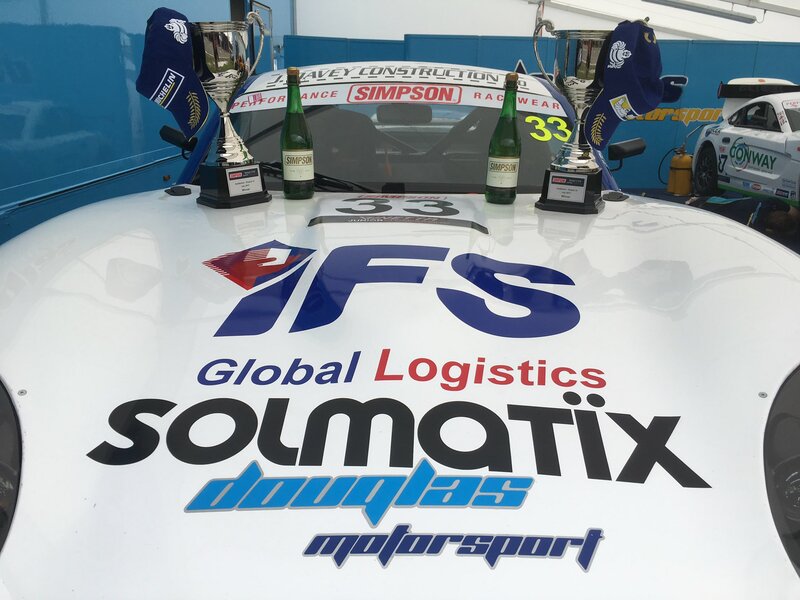 Three Pole Positions (2 – Jewiss, 1 – Harper), 2 Wins ( Harper ), 2 second places (Jewiss – 2 Rookie Wins) and 3 cars in the top 5 of race 2, it was a successful weekend for the team. 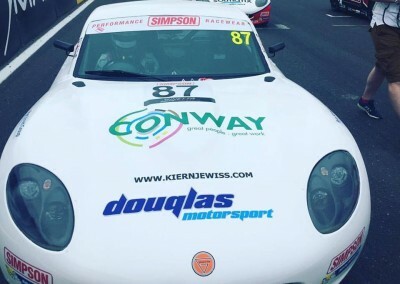 It was Kiern Jewiss who kicked off the weekend with two pole positions from 2 qualifying sessions. 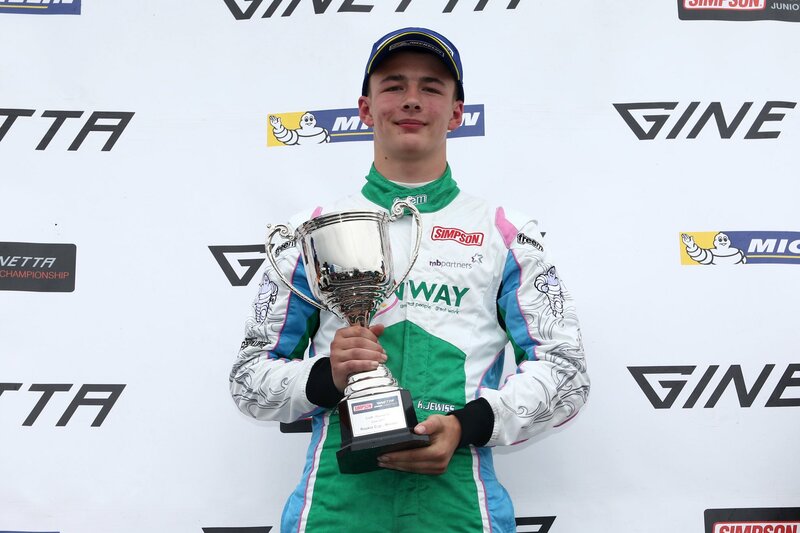 Harper would line up alongside him in race 1 and Connor Grady’s 6th position meant a heavy Douglas Motorsport presence at the front. 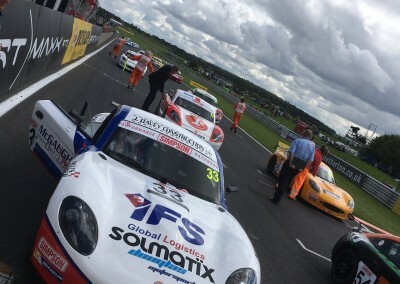 Race 1 saw Harper and Jewiss trade positions at the front. 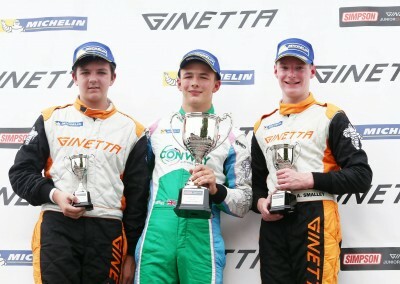 In the end it was Harper who took the spoils, with Jewiss only .08s behind. 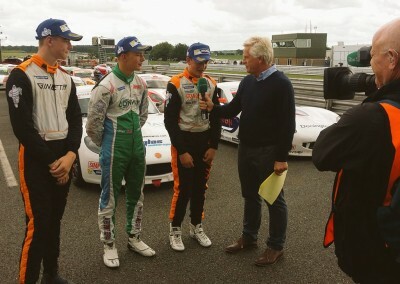 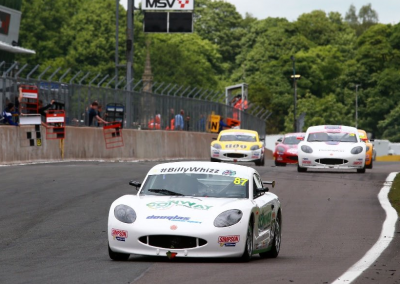 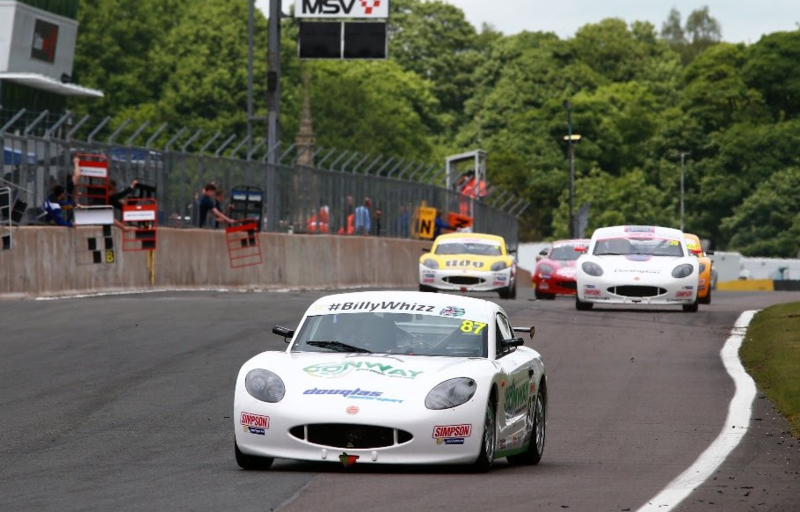 Race 2 was, as always with Ginetta Juniors, a frenetic affair. 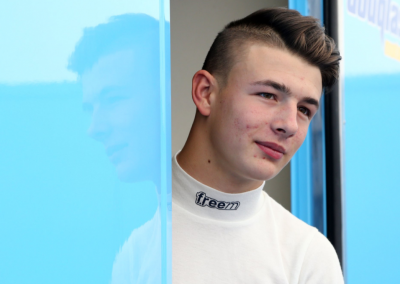 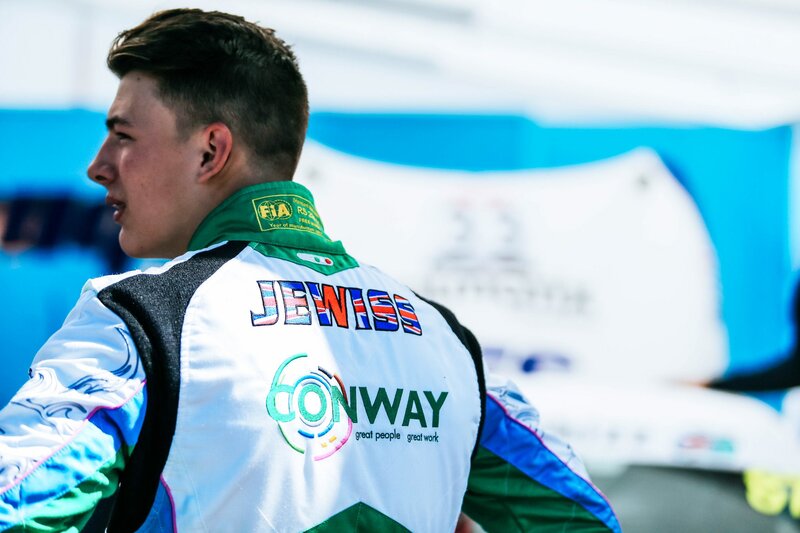 Kiern Jewiss was on pole position once again due to his brilliant qualifying performance. 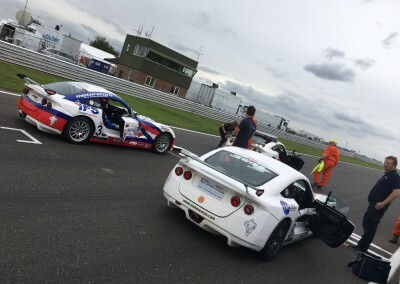 Although he lost the lead from the start, he was able to regain it and stay at the front for most of the race, while everybody else jostled for position behind. 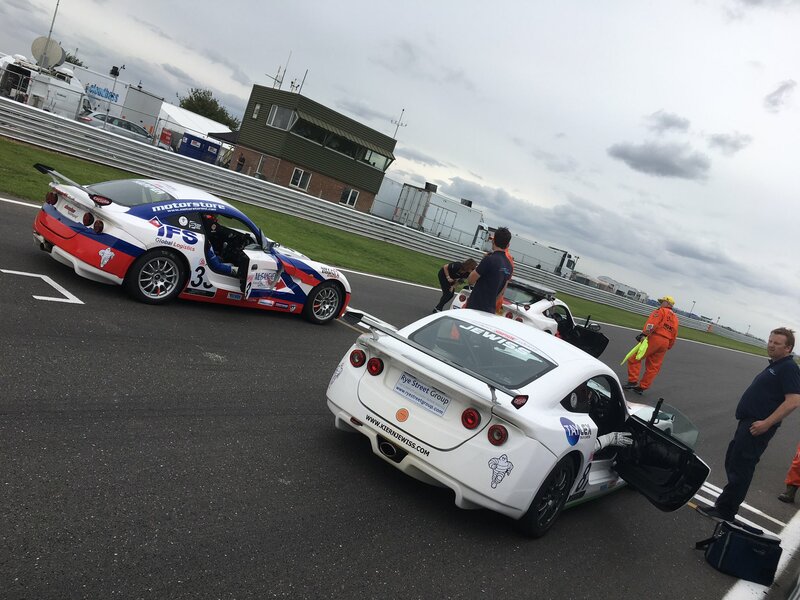 However, on the penultimate lap, second placed Gamble made a move for the lead, a move that ended with both himself and Jewiss on the grass coming out of the Bomb Hole. 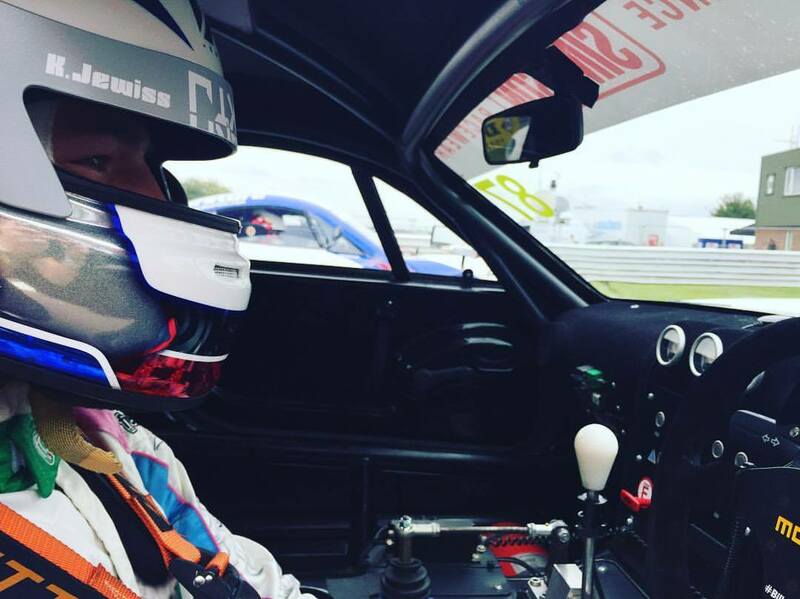 Kiern was able to keep going and got the car home in 5th position and some valuable points. 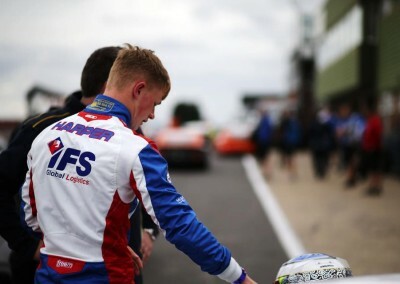 The incident meant Dan Harper was now in second place, and he finished the race in second. 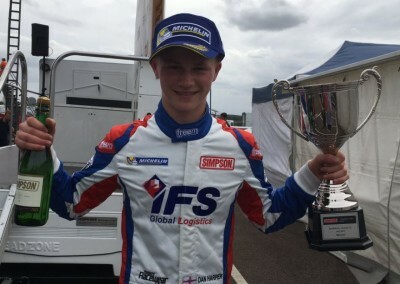 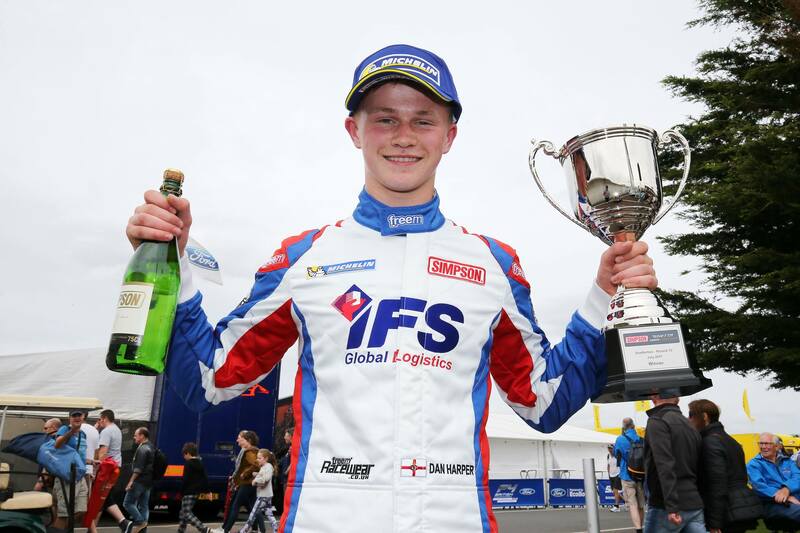 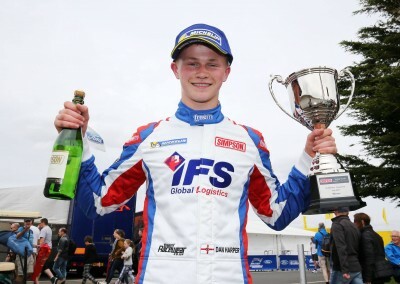 However, a track limits penalty for several drivers saw the win handed to Dan, his second win of the day and valuable points in the overall championship. 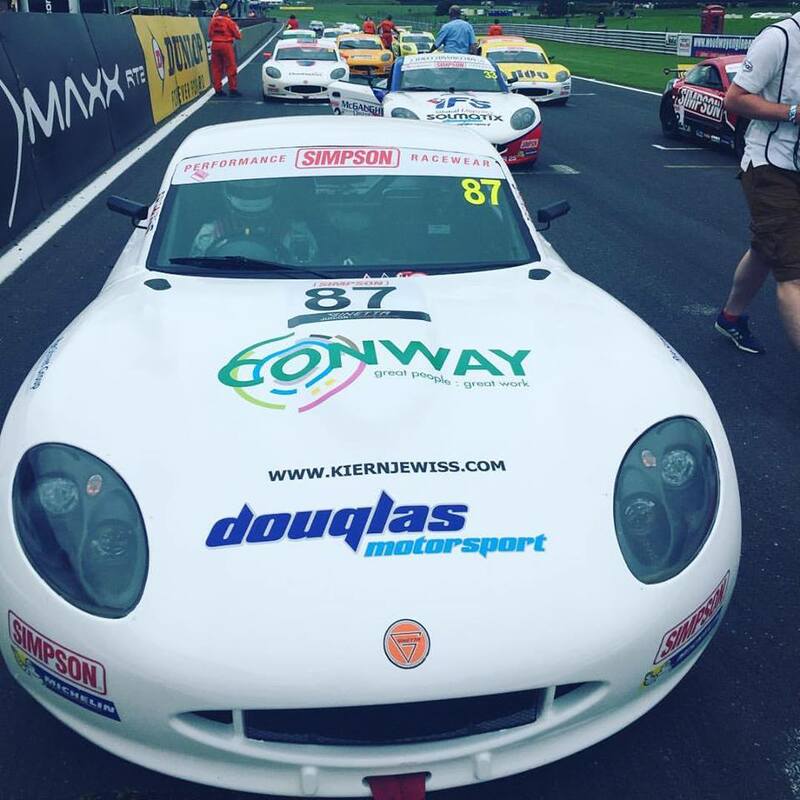 To add to this win, Connor Grady was able to bring his Ginetta home in 4th place which meant 3 cars in the top 5 for Douglas Motorsport. 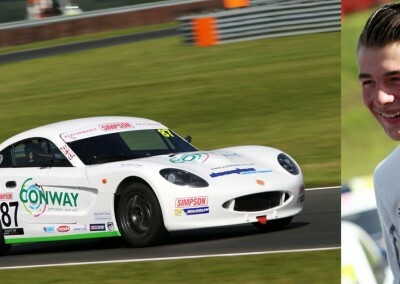 On Sunday, race 3 saw Dan Harper on Pole. 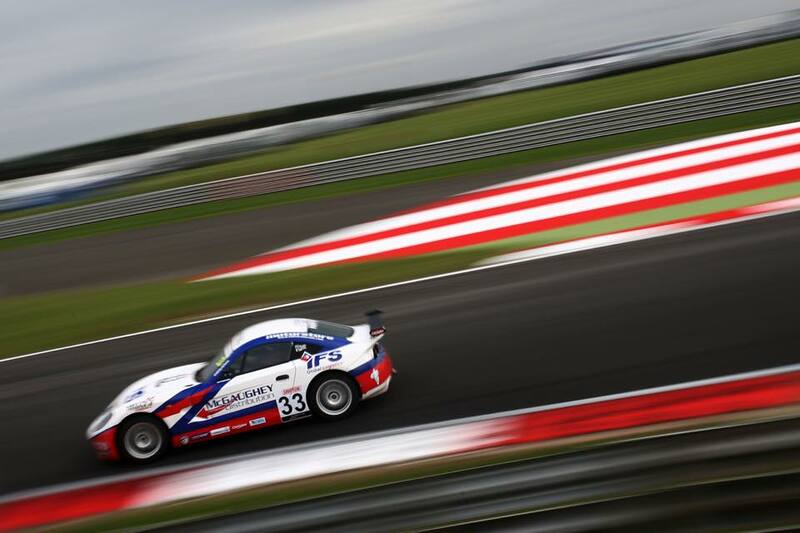 But, pole was proving to be an unlucky starting position this weekend, he fell back a number of places to 5th. 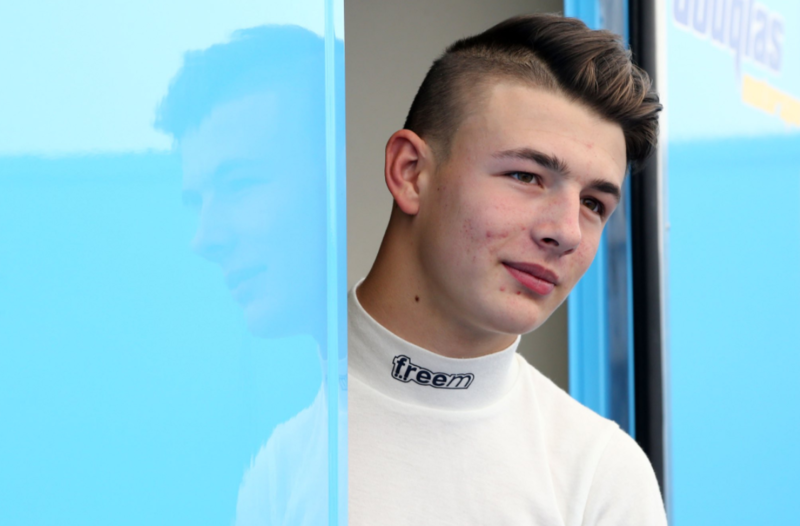 Meanwhile, Kiern Jewiss, who started in 5th position, was in second place by the end of lap 1, and took the lead on lap 2. 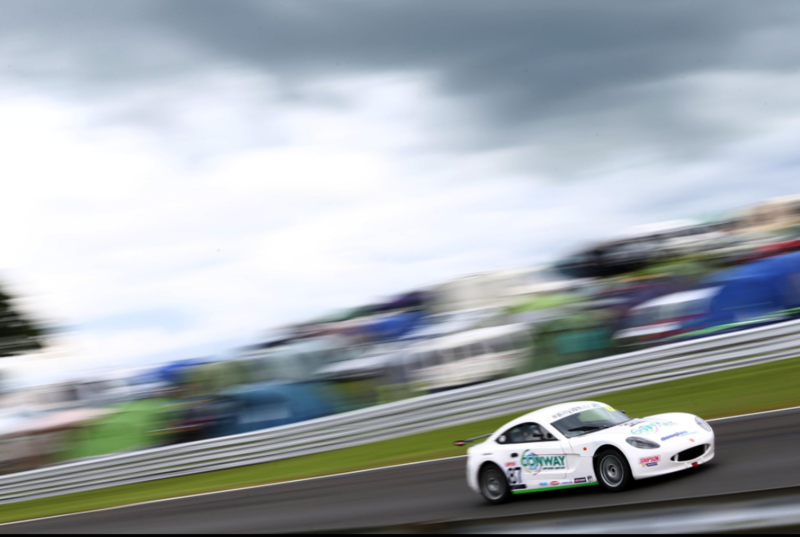 He would remain there until the last lap when he was passed, but he challenged all the way to the line, missing out on P1 by only .076s. 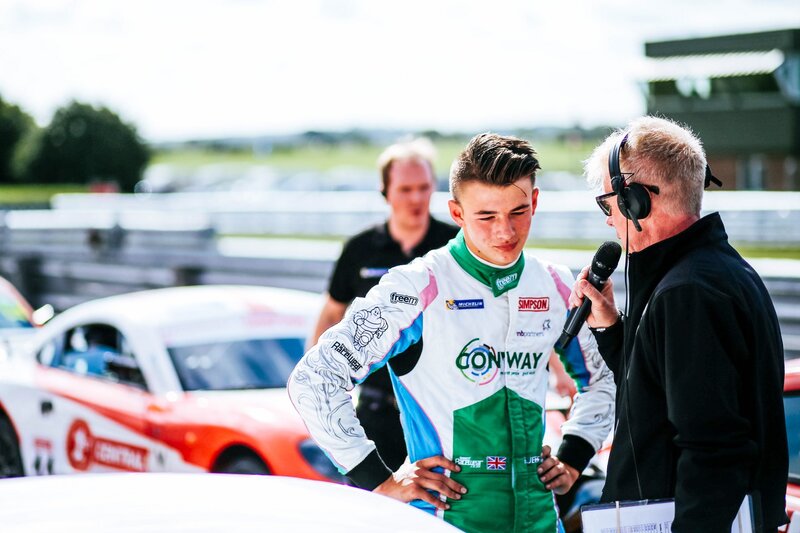 Meanwhile, Connor Grady was involved in a battle throughout the race but did well to finish in 9th. 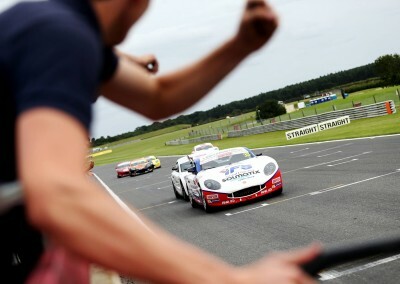 Tom Canning was 11th, just missing out on 4 Douglas drivers in the top 10. In the rookie competition Canning was 6th, 5th and d 5th respectively, a competition in which Kiern Jewiss is stretching his lead after every outing. He had two rookie wins and a rookie second place. 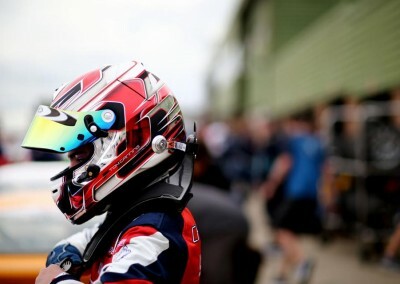 His eyes, however, are on the big prize. He sits in third, while Dan Harper is in joint 4th, only 5 points behind. 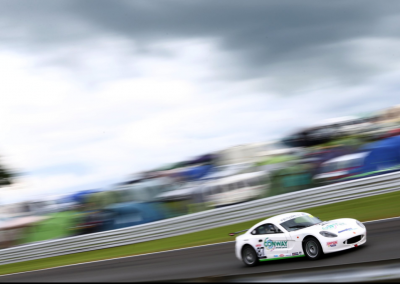 It looks like the rest of this competition is going to go down to the wire. 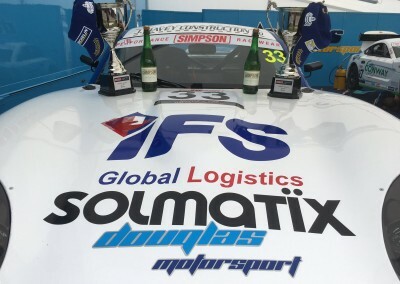 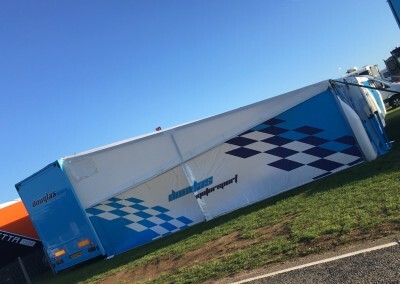 Well done to all the Douglas Motorsport team and roll on the rest of the season.